Digital UK has said it is against the reallocation of further TV broadcast frequencies ahead of a key decision-making conference in November. The platform manager for the UK's digital terrestrial television service, the home of Freeview, has confirmed it's opposed to the reallocation of frequencies in the 470-694 MHz band which could be used for other services - a stance which is also supported by other European broadcasters and the European Commission. In November, delegates from around the world will attend the World Radiocommunications Conference (WRC) in Geneva when decisions about future frequency allocations will be made. All allocations will need to be internationally coordinated to avoid unnecessary interference. In 2013, UK digital terrestrial TV services were removed from the 800MHz frequency band to make way for 4G services from Three, O2, Vodafone and EE, although mobile network Three has only just in recent months began to roll out services in this frequency band. Following the last major WRC event in 2012, it's been decided that around the end of the decade, the 700MHz frequency band will be taken away from terrestrial broadcasters - a move that will likely act as a trigger for a wholesale switch to the newer DVB-T2 standard used by Freeview HD. Last week, Digital UK confirmed that only DVB-T2 compatible devices will be allowed to display the Freeview logo by 2017. But some parties would now like to see the 500 and 600 MHz band made available for other services, including mobile broadband, leaving little or no space for terrestrial television services. But there are signs that countries in Africa and the Middle East are leaning towards maintaining the 500 and 600 MHz band for TV services, adding support to retaining bandwidth for terrestrial TV. In a briefing document, Digital UK says maintaining frequencies for the sole use of terrestrial television has a high social value, enabling the universal availability of public service and commercial channels free from subscription. It also points out that the economic value of digital terrestrial television is approximately £80bn over a 10 year period. With the switch to DVB-T2, Digital UK says digital terrestrial television can make even more efficient use of its frequencies. Some in the industry accuse mobile network operators of wanting to take the easy option of 'land-grabbing' more frequencies without making full use of their existing frequency allocations. This for example, is levied against some mobile operators who have started to build out 4G services in the 800 MHz band and who want to launch services in the 700 MHz band, but who haven't fully made use of the 3G frequencies they were allocated over a decade ago, where some frequencies are lying dormant in so-called mobile 'not-spot areas'. TV broadcasters also say that they are not convinced about future mobile data forecasts created by the mobile industry, used to support the move to take more TV frequencies. These frequencies are suitable for reaching rural areas, as the signal travels further and for penetrating buildings. But some argue that within buildings, users willingly switch to wi-fi to download larger files and to reduce mobile data costs. 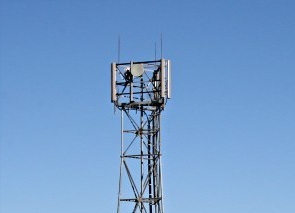 Additionally, some point out that higher frequencies, above the TV frequency band, are more suited to serve local areas where there is a high demand for data, with sufficient former TV bandwidth in the 700 and 800 MHz bands (which travels longer distances) being surrendered to provide rural areas with virtually universal coverage. The World Radiocommunications Conference takes place from 2-27 November.